(x)trees v.4. The PASEO 2014. Agnes Chavez. Alessandro Saccoia. Kamen Dimitrov. (x)trees. v.2. Agnes Chavez. Alessandro Saccoia. 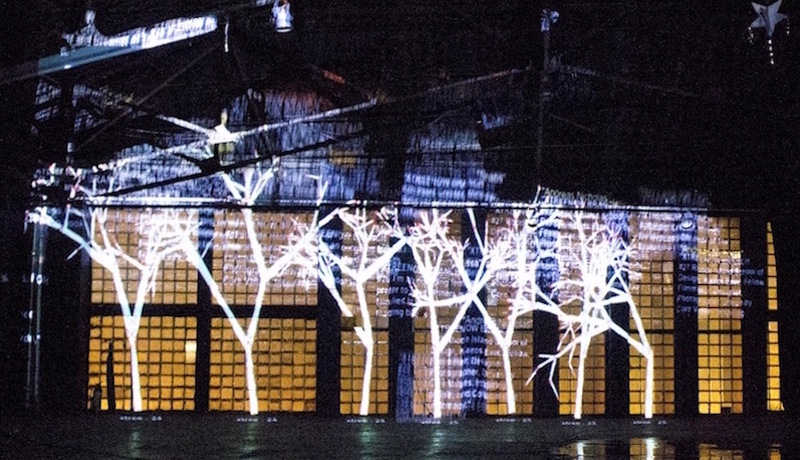 (x)trees is projected in real time on to buildings and large spaces, exploring our relationship to communication technology and to create a participatory experience to raise awareness and unite around a common topic. i.e. protecting our natural resources, climate change, immigration etc. 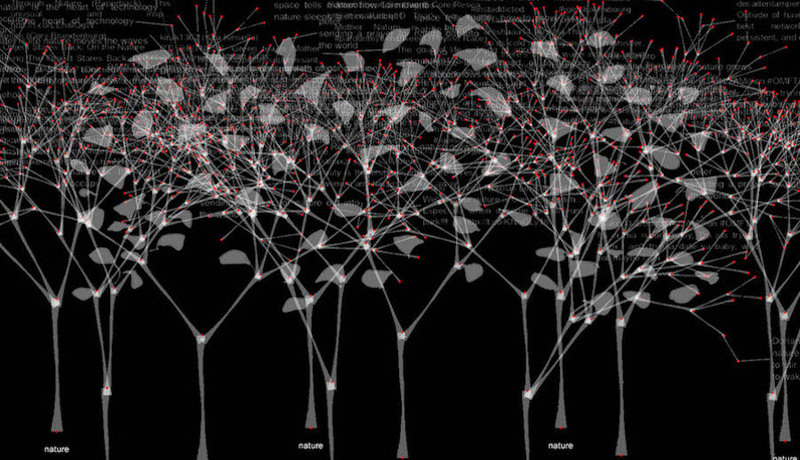 By integrating data mining from social networks, people participate in the creation of the branches to form a virtual interactive forest of dynamically generating trees. 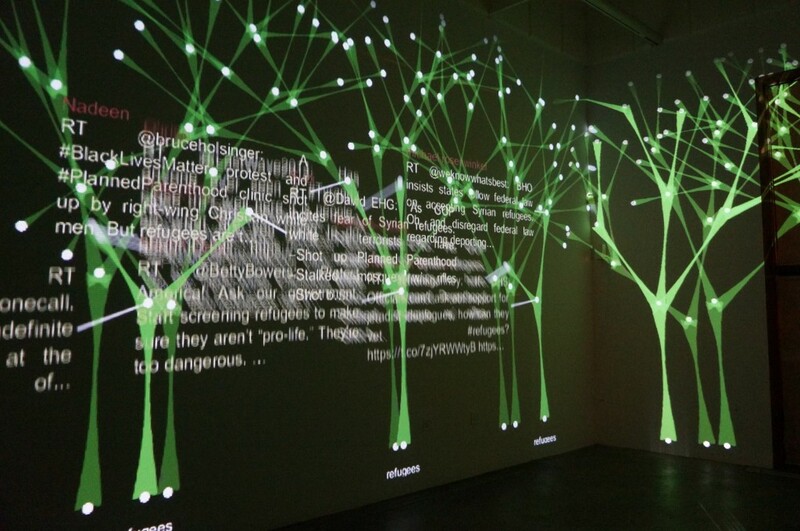 The audience sends a tweet or text message and sees their message appear on the wall with a branch. The key word is chosen in relation to the theme. US Arts Envoy and U.S.-Mexico Sister City Mayor’s Summit. (x)trees projection on to the Guadalajara Cathedral as part of the City of Guadalajara’s GDLuz light festival. The US Consulate of Guadalajara also coordinated presentations to seven University and high schools around the city to share how I combine art, science and technology and why it is important in today’s world. 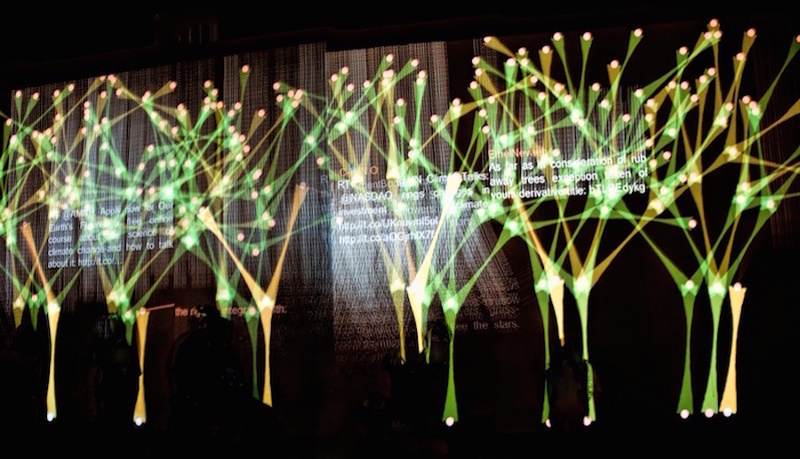 For this version of (x)trees I collaborated with Joe Dean who mastered a video capture of the (x)trees mapped for the cathedral. 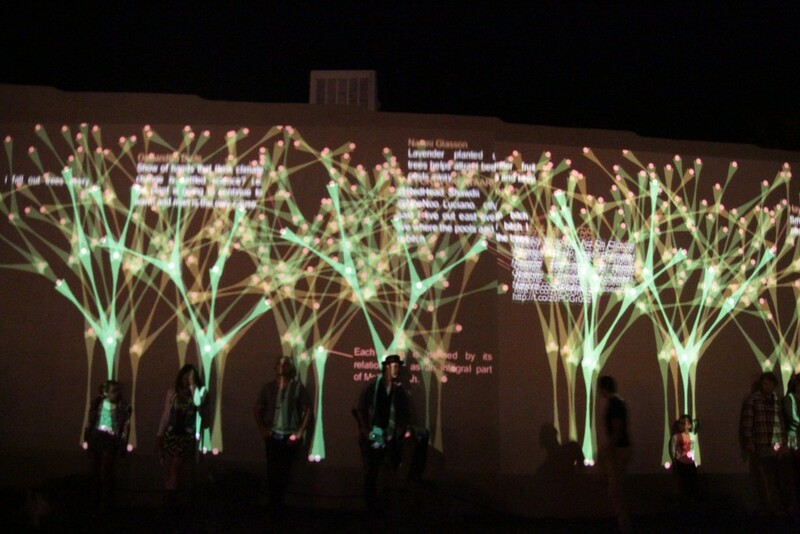 The tree branches were generated by messages collected from participants of the U.S.-Mexico Sister City Mayors Summit initiative taking place in Guadalajara, as well as community organizations actively engaged in the U.S.-Mexico relationship, thereby capturing the collective spirit of the two countries through text messages. 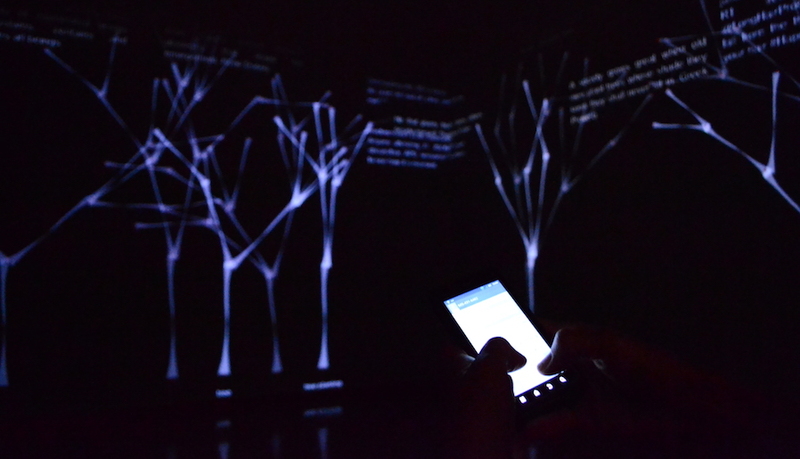 Branch by branch, the trees form and the messages from each branch are displayed for a fleeting moment. 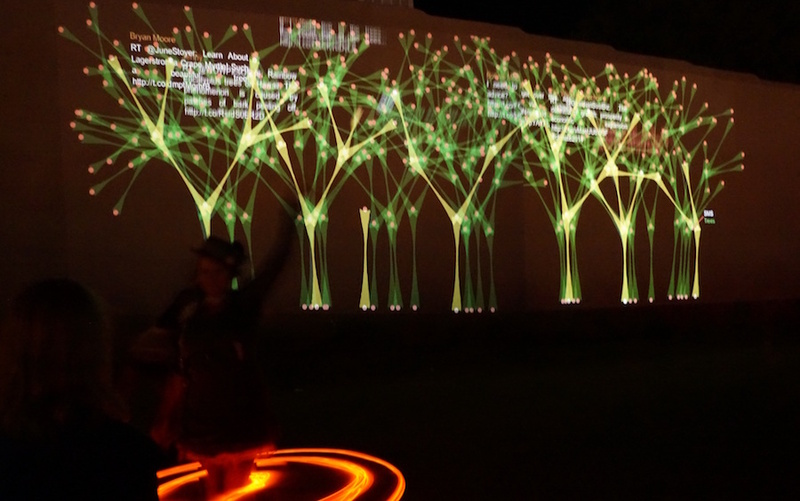 (x)trees:Guadalajara represents the connections that unite us across borders through art, technology, and people-to-people communication. Peoples messages captured the interconnectedness and interdependence of Mexican and American identity, and how art, technology, and communication unites us as global citizens across borders. 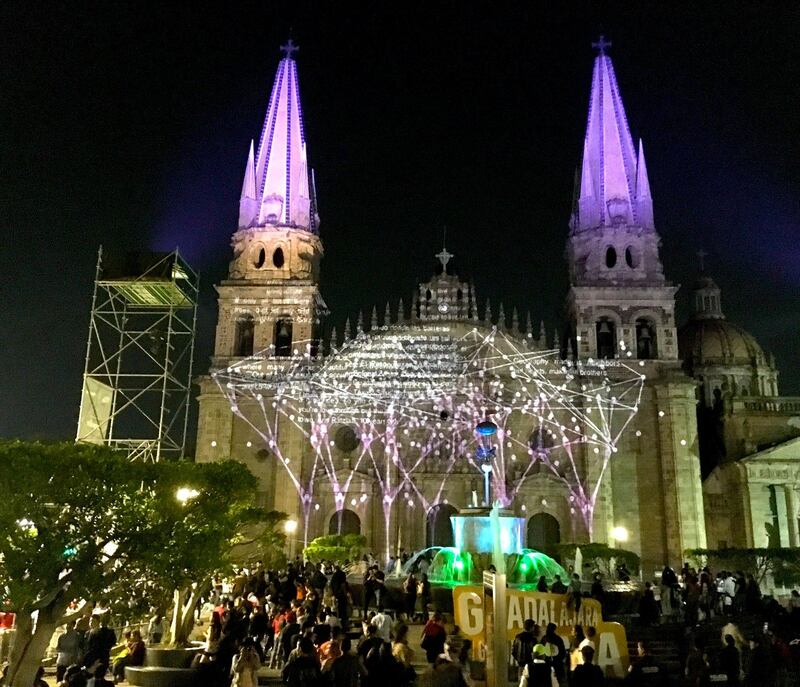 The GDLuz light festival took place in Guadalajara’s historic center February 14-17, 2018 and also were displayed during a performance at the U.S.-Mexico Sister City Mayor’s Summit at the Centro de Amistad Internacional on February 16, 2018.